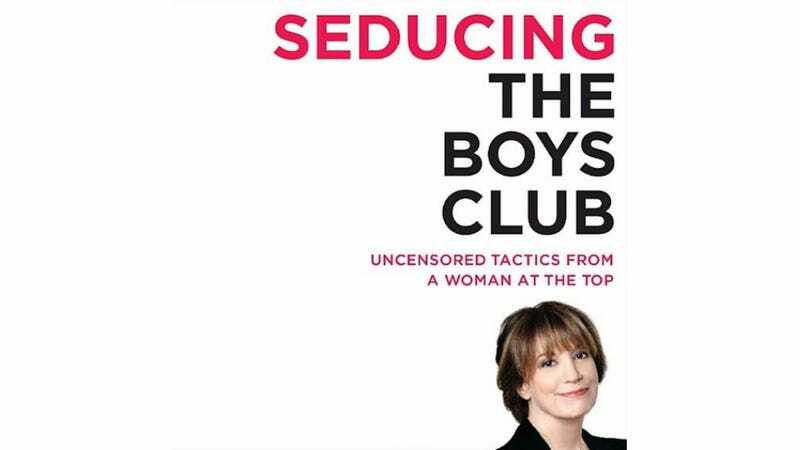 Merrill Lynch's flagship Manhattan branch forced female employees to study a book called “Seducing the Boys Club: Uncensored Tactics From a Woman at the Top” and meet with the author for additional tips on Leaning In super sexily "to stroke men’s egos with flattery and manipulation in order to succeed in a male-dominated environment," according to a lawsuit. Three women allege that Branch Manager Joe Mattia forced them to soak up author/marketing firm chairwoman Nina DiSesa's rather humiliating ideology — including "flirting and sugarcoating criticism of male co-workers with flattery," according to court documents obtained by the New York Post — when they worked at the company for seven months in 2008. The Cut's Kat Stoeffel read our minds and excerpted the book. Who knew we were failing in the workplace by neglecting to reinforce our colleagues' "hunk status"/bro down? It was also important to reinforce his hunk status, assuring him that the small bald spot at the top of his head was hardly noticeable and that he hadn’t “lost it” when a woman would break up with him or refuse to date him (a rare event). He needed to know that he had my love unconditionally; it was the only way he could ever trust me with his fragile ego. Maggie was a smart woman who worked with male colleagues who always excluded her. The men would hang out with one another and make business decisions while they were out drinking, having lunch, or playing pool. She could have whined and complained that they were not being team players, but that would only have made them excluded her more. Instead Maggie asked herself, what do men love? Beer. Candy. Toys. So she stocked her mini fridge with beer along with her designer water; she kept a big bowl of candy on her desk, she brought in games like boggle and checkers. Pretty soon the boys were hang out in her office, and when they discussed things of business interest, Maggie was right there with them. According to Stoeffel, DiSesa believes these are all "stop-gap measures until women can rule the world benevolently." (Utopia!) It's one thing for an author to independently advocate "flirting and sugarcoating criticism of male co-workers with flattery" — it's quite another for a male boss to force female staffers to play along.